The back cover of the book shows a bearded man with nice eyes. 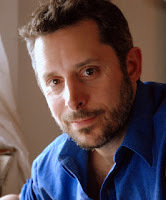 Looking at his eyes, you're already certain that this is going to be a good read. And the testimonials on the first few pages reinforce the belief. The first story is a bit disappointing, and you wonder whether to continue reading. But then you do read the next one, and you're hooked. 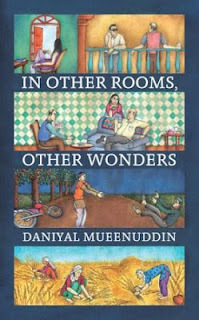 Daniyal Mueenuddin's first book In Other Rooms, Other Worlds is a collection of eight stories, set mostly in Pakistan. Each story is linked in some way with the industrialist K K Harouni, sometimes through his nephew Sohail Harouni. The best story in the collection is the longest one - Lily. The eponymous character is a Pakistani socialite who believes she wants a different life from the shallow one she is living right now. She chooses marriage as the way to get that life. But does she really want peace and quiet? Will she be happy living in rural Punjab, or will she miss all the drinking and the sleeping around associated with her former life? Mueenuddin does a good job of showing her indecision, of framing this turning point within the larger journey of her life. The other stories that are more than worth a read are A Spoiled Man (about an old man who enters Sohail Harouni's service - a poignant tale of a simple life), Our Lady of Paris (Sohail Harouni's mother tries to dissuade an American girl from continuing to date Sohail) and Saleema (the life of a woman employed in K K Harouni's service - her love story, and its ending). She sat back and looked up at the stars, at the moon framed by the pollarded branches of a lime tree, stark without leaves. The same stars lit the snowfield behind her house in Connecticut. She would never again be twenty-one in an old hotel in the Loire Valley in France. Reading the book, it's hard to ignore how wrong things are in Pakistan - the rich are rich beyond belief, and the poor are poor beyond suffering. The rich vacation in foreign countries, their children are regularly educated abroad, they maintain separate summer homes abroad. And the luckier among the poor serve the rich, practically worshiping them, and yet siphoning off money wherever they can. One of the best aspects of the book is the effortless way in which it floats between these two different worlds - the luxurious idleness of the rich and famous, and the back-breaking hardship of the poorest of the poor. It's not hard to see why, once you read the short note about Mueenuddin's life. He spent several years in the United States, before returning to Pakistan and living on a farm. Overall, this book is definitely an undiscovered gem. Not only does it showcase life in Pakistan, it's also a peep into life in general, with careful portraits of people, their aspirations, their lives.